2019 Nominations are open until April 22nd. Bullying is an issue that no child should ever have to endure. Fortunately, there are people who care and take action to make our schools, communities, and the web kinder, more accepting places. PACER’s National Bullying Prevention Center is proud to host the 5th Annual Unity Awards on Wednesday, May 22nd, 2019, at PACER Center in Bloomington, Minnesota. The Unity Awards ceremony, first held in 2015, is an evening of celebration to gather and recognize those who are helping to create a world without bullying — whether it’s building awareness of bullying prevention, inspiring and empowering others to take positive action, or advocating for those who need support. Nominations come in from around the country and have included teachers who have touched the lives of students, individuals or groups who have been active in their communities, and those who simply made someone feel that they were not alone. The Faces of Change believes that our generation has a responsibility to lead and interact with kindness, acceptance and inclusion. Our goal is to promote bullying prevention and inspire students to support one another. We are leaders who care and we will use our voices to show that student involvement can create positive change, resulting in stronger relationships, safer schools, and more supportive communities. Highlights from the 2018 event! Highlights from the 2017 event! Highlights from the 2016 event! Highlights from the 2015 event! 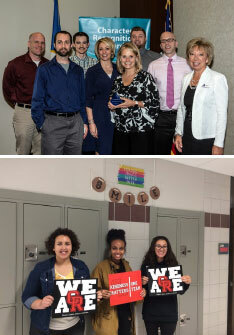 Awarded to Minnesota students for outstanding acts to make a difference in their communities. “Three students from our high school DECA organization took the lead to bring attention to bullying prevention in our community! They planned, organized and carried out a ‘Bigger than Bullying’ 5K run in November as a part of our school district kick-off for bullying prevention. More than 150 participants from our small, rural community came together to support this effort! This very successful 5K brought attention to the issue of bullying, but also was a way to bring together community businesses who were sponsors, parents and students who were participants, along with others who now are aware of the bullying prevention program in our school district. Starting from ‘scratch,’ these students began planning in early September to make this event happen. There was a long list of things to consider: PR, registration, setting entrance fees, ordering wristbands and t-shirts for participants, securing sponsors and other prizes. All of this in addition to finding a location and learning how to conduct a 5K including timing, signs, setting a course, water and snacks at the finish plus a thousand other little details! It was impressive to watch the planning progress and very rewarding to see the event come together — even on a very cold November morning! I would like to nominate Alexis Saldana for this or really any of the awards you offer. As this school year began Alexis was campaigning for the office of 8th grade President and she herself experienced bullying from others. Other students bullied her as they were wanting another candidate instead of her to win. This was something she had never encountered before and really was upset by the behavior of others. Instead of backing out, or ignoring it, Alexis faced the situation head on. Her speech for office included her experience and a plan for improvement. She won the election which shows most students do not agree with bullying behavior. 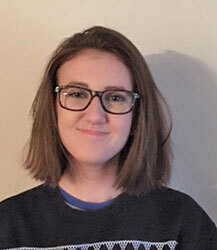 Afterward Alexis put the experience behind her and has continued to work all year building a school environment that accepts all, includes all, and looks within each individually for what they can do. I feel like this particular individual qualifies for this award mainly because in the beginning of this school year I was really scared and shy but she helped break out of my "shell". She made me feel like I belonged and helped me with my bullying situation. In light of that, I feel that if I hadn't have told her I wouldn't have told anyone. I knew that if I told her the student bullying me would probably get mad and I didn't want that. But I knew it had to stop. She actually made him stop and he wasn't mad because she explained to him what he was doing was wrong. Now I can go to school comfortably and with ease because of her. She is the nicest person I know and she deserves recognition for all the kindness she has given. Meredith Warren took someone being severely bullied and spent hours daily helping her get to where she is today, through video chat, texting, and even dropping everything just to see her. She looked beyond her disability and flaws and gave her something that she hasn't seen before - confidence. She is a wonderful person and has helped countless others with whatever it is that they need. She deserves this award. The Lockhart School’s Primary School's Primary Explorers, Artists and Future Architects Recess Club is comprised of approximately 35-50 students who have taken a stand to forego taking part in all forms of negative behavior, and spend their free time "creating things of beauty”. The Lockhart School's Performing Artists In Action Club, is a social action group made up of 10 students from grades 2nd-4th who use singing, dance, chanting, skits and poetry to empower their peers and the other students at our school to turn away from bullying during recess time. I nominate this club, because students come together to enforce the virtues and citizen character skills of Kindness, Respect, Cooperation, Diversity, Compassion and Unity. 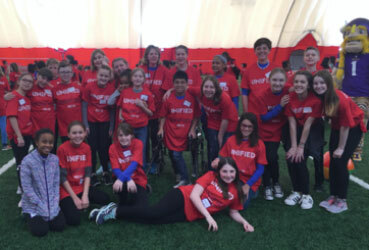 The Orono High School Unified Club is comprised of students with and without disabilities with a goal of fostering inclusion in their school. This club started a few years ago and has grown significantly due to the student leadership. They are truly instilling inclusion in their school through other programs such as social opportunities, academic mentoring, fundraising efforts, speaking engagements, and bullying prevention campaigns like the 'Spread the Word to End the Word' campaign. The Lakeview Elementary Kindness Council is made up of 25 fifth grade students who, under the direction and guidance of their school counselor, commit to spreading kindness across their school and the community. The Kindness Council organizes and implements a variety of activities throughout the school year to promote kindness toward others. These young people are an amazing example of how simple acts of kindness can change the climate of a school and improve learning for all! 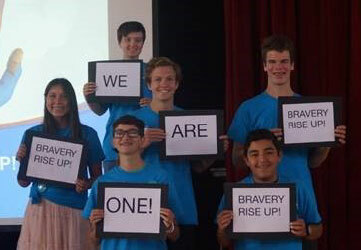 This group of students in grades 7 – 12th was originally formed a bullying prevention task force. They decided on the name TEAM (Together Everyone Achieves More) because they wanted to take a positive and proactive approach to preventing bullying. Each year they have organized "Kindness Week" in March. They put affirmation post-it notes on the lockers of every student and the doors of every staff. They did classroom presentation for all grade K-12. They basically got our whole community involved in focusing on kindness. Actually, we are not that different from you! We come from all walks of life, but we have one very important belief in common. • It is TIME to stand up to bullying. • We can CHOOSE to avoid posting online or participating in anything that is meant to harm someone's reputation or self-esteem. • It is essential to COMMIT to "think before you tweet" and "ponder before you post." The Bay City Central Anti-Bullying Pledge Club not only looks for ways to prevent bullying in our school, but we also hold assemblies at our area schools. This year’s school show is called "We Are Hopeful." Our club has presented in front of 80 transport directors across the State of Michigan. We have also spoken to many middle and high schools across the Great Lakes Bay Region. 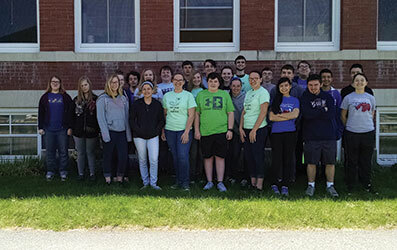 Colebrook Academy Key Club has accomplished an average of more than 60 hours per member of community service in the last year. At the beginning of the school year, they had 20 members, and now they have 27. The students have trick-or-treated for UNICEF (donating $100), made parts for shoes through Soles for Hope, raised money for Pennies for Patients, raised funds to give 10 families holiday meals, bought gifts for a boy who wouldn't have had a Christmas, cleaned up Beaver Brook Falls (a local park), helped with a STEM project at the elementary school, helped fellow students raise money to go to Key Leader (a leadership training for teenagers), participated in "New Hampshire RESPECT Week" (taught about unhealthy and unhealthy relationships to their peers), and more! 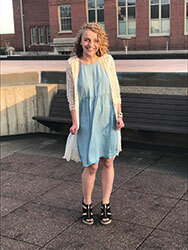 Bethany Piotter, a sophomore at the University of Northern Iowa has always been a huge fan of making people feel like they aren't alone. This school year, however, she made her biggest step yet. Bethany created an inclusive group on UNI's campus. She is now the president of the group, UNIted Dance Company. This company is made up of multiple college students, each paired with a child from the community – some with and some without disabilities. She felt it necessary to include ALL kids, as not to make anyone feel different. 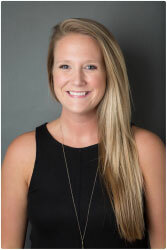 Bethany works hard to use kind words and loving mannerisms – even throughout the chaos of trying to teach dance with so many energetic children. She is also an elementary special education major at UNI, and plans to spend her entire lifetime working on inclusiveness. She is still so young, and such an amazing and deserving advocate who has already made such big strides. During my weekly morning meetings with this student's mother, she often shares kind stories about her son engaging in outstanding behaviors that warm my heart. I have never met this child formerly, but the stories that I hear about bravery, kindness, insight, empathy, and values are impressive. One morning, his mother shared a particular story about her son standing by a peer in the lunch room when he was being ostracized by a group of John's own friends. John continued to sit with a peer in the lunch room while his own friend group actively tried to get him to abandon this other child. John was able to be assertive and withstand the peer pressure of his friends trying to influence him to alienate another child. John, when speaking to his mother, stated, "I could never do that to someone." John demonstrated outstanding moral character and kindness toward others in general, but his desire to make someone being excluded feel included is commendable. 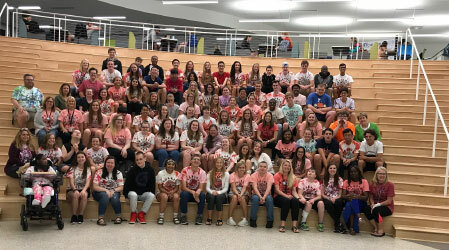 The Student Council at North Branch Area Middle School has worked very hard this year to empower every student to take a stand against bullying. This fall, they celebrated Unity Day by bringing awareness of the need for inclusion of all and the importance of empowering bystanders. Every student and staff member signed Unity Day posters that have since been put on permanent display in the hallways as a reminder of the pledge to stay united. On October 17, the entire school took a victory lap against bullying around the track, which culminated in a huge orange color cloud ‒ a symbol and reminder to "make it orange, make it end." From there, the group created a Student Shout-Out board in the hall and took the responsibility of maintaining it throughout the school year. Students highlight another student's positive action by submitting a shout-out form, which are posted on the board. So far, the school of 650 students have posted more than 300 student shout-outs. This has grown to include the council members posting shout-outs for staff in the mail room. To remind them of their commitment to the most challenging part of the year, all students received swag rags (handkerchiefs with the school logo) in April. They gathered in the bus corral and the student council held a unity rally. The local fire department had their cherry picker there and all students who filled out a shout-out or received one were entered in a drawing to get rides over the crowd. These efforts, combined with a great school staff and student group, have resulted in the most positive and safe student and staff climate in years, and a surge of interest in student involvement. All these activities were student council-sponsored and paid for with money they raised for the efforts. Elaina was concerned about the attitudes and behaviors of staff and students towards students with disabilities in her school. She had heard stereotypical comments made about deaf and blind individuals come from staff members, and wanted to make them aware of how these comments would affect those with disabilities, as well as the attitudes of other students and staff towards those with disabilities. As a result, she approached the school principal and suggested sensitivity training for staff. She also initiated a peer advocacy/mentoring group in the school, which is made up of students with and without disabilities. She is a role model and leader for kindness, inclusion, and acceptance in her school and community. Her actions also demonstrate a commitment to finding solutions and building bridges between community members. 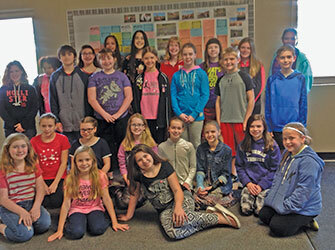 A group of middle school students from Watertown-Mayer, Minn., directly contributed to creating a positive school climate by sharing their thoughts, opinions, and perspectives on how they view bullying behavior within their school and online community. These sixth, seventh, and eighth graders were invited to participate in a focus group to represent their peers and share their views on questions such as “What does bullying look like at their school?” or “What impact does bullying have on students?” They were also asked to share ideas on how their school — including incorporating student participation — can help to address and prevent bullying. The students enthusiastically shared articulate, insightful, and perceptive responses, providing educators and administrators with a unique perspective into the student experience. Their willingness and courage helped guide school personnel with information that was thoughtful, authentic, and candid. It was used as a catalyst to develop effective, student-relevant solutions on how bullying will be addressed at their school. We celebrate these students along with the educators who supported them during the process. Together they are building a school climate in which everyone feels valued and respected. 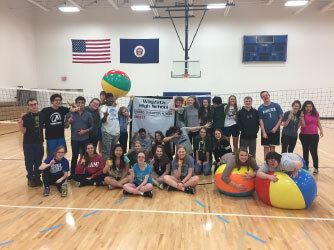 Wayzata High School is currently piloting a class titled Unified Physical Education that brings together students with and without disabilities in a physical education setting focusing on physical, relational, and health topics. This class is making a huge impact, not only for the students in the class, but also for school communities. Inclusion is such a powerful concept and this is a great way to foster more of it! 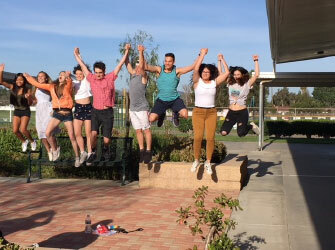 This group has worked all year on bullying prevention ‒ every week, during four class periods each week. 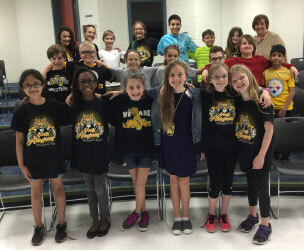 They created a program called "Bullying Bootcamp," writing all the lessons and activities, and have gone into their homerooms across the entire school to raise awareness about bullying. They also did a school-wide celebration on Unity Day last October that had more than 300 people, including invited guests and local elected officials. Aided by their teacher, Allison Levine, they are now reviewing their entire year so they can do it again next year! They will begin by teaching the incoming freshman class a week of "Bullying Bootcamp" this summer and continue on into the new school year. They are amazing and they should get some recognition. 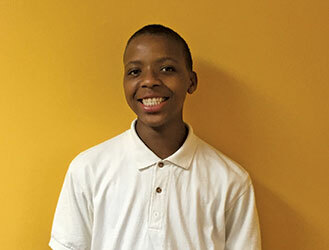 Marveon was recently voted "Youth of the Month" in his housing project because of his desire for positive change. Everyone looks up to him as a leader. 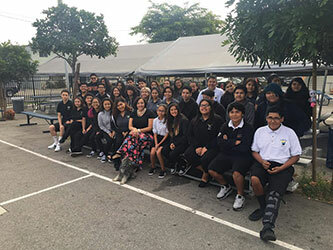 Because of his influence with his peers, he has decided to take on bullying prevention as his special project at school, distributing materials and spreading awareness throughout his school community and neighborhood. 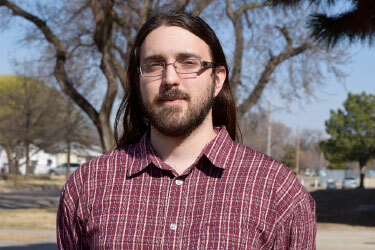 He is also active in student government. “Nolan is 10 years old and he always makes sure everyone is included and felt loved. There is a girl in his class that says she has no friends, Nolan became friends with her so she was not left out. Nolan has gotten several letters from kids in his class saying how he is kind to them. Last school year Nolan was selected by a classmate with autism to help calm him down when he has a meltdown, as he said Nolan understands him and helps him. Nolan still worries about the boy and looks out for him at recess. With a mission of outreach to all in their communities, this group of adults and students from 17 different faith congregations and 6 cities in Southern Orange County, CA, produced 2 public forums in 2017 under the title of “Bigotry, Bullying, and Bravery” for teens and adults. The teen event was run by 10 student leaders and focused on helping teens identify when they were in the middle of a bigotry or bullying situation, brainstorm solutions, and 'try on' what it feels like to speak up and support others when these situations arise. The adult forum focused on what could be done to support the youth and learn from the feedback gained from the youth forum. The themes for this year’s “Bigotry, Bullying, and Bravery” forums are “Now Walk in My Shoes” for youth and “The Next Step” for adults. The Interfaith Council of Greater Rancho Santa Margarita is committed to events that unite all members of the community around acceptance and inclusion.